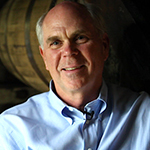 Julian P. Van Winkle, III is the third generation Van Winkle to produce bourbon whiskey in Kentucky. He joined his father, Julian Jr., in 1977. At that time, Old Rip Van Winkle produced only two labels of their wheated bourbon whiskey. They were a 10-year 90 and 107 proof Old Rip Van Winkle. Since then Julian has added 12-year, 15-year, 20-year and 23-year bourbon labels to the Van Winkle selection of premium bourbon whiskeys. He has also added a 13-year premium rye whiskey to the whiskey portfolio. All of these whiskeys have received ratings in the 90’s by the Beverage Tasting Institute of Chicago, with the 20-year, “Pappy Van Winkle’s Family Reserve” receiving a 99 rating. Julian has operated the company by himself since his father’s death in 1977. However, he was joined by his son Preston in June 2001, the fourth generation Van Winkle to venture into the whiskey business. In January of 2009, Julian was honored to be nominated as a Fellow at the Southern Foodways Alliance annual fundraiser at Blackberry Farm in Walland, Tennessee. Next January, at he same fundraising event, he will be inducted as the new member into the Fellowship of Southern Farmers, Artisans and Chefs. This is a tremendous honor as the group members are some of the most talented people around. In March of 2009 & 2010, Julian was nominated for a James Beard award under the category of Outstanding Wine & Spirits Professional. The James Beard awards are the Oscars of the Food & Beverage world. The award in 2009 was won by Dale DeGroff, one of the world’s best mycologists. The 2010 award was won by John Shafer, one of Napa’s best wine makers. In May of 2011, Julian won the prestigious Wine & Spirits award and was at the Lincoln Center in New York City to receive the award. He was the first Kentuckian to receive a James Beard Award. Kenny Lyons is the Vice President of Operations of the Neighborhood Dining group, where he oversees the success of the company’s eight restaurants across the Southeast. He works closely with all aspects of service, including managing and training staff, as well as operational controls and finances. 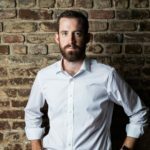 Lyons first joined Neighborhood Dining Group in 2013 as the Senior Manager and Beverage Director of Husk Nashville, and was quickly promoted to General Manager before relocating to Charleston, SC to fill his current role. Growing up as a traveling athlete with parents who often worked late, Lyons spent many of his childhood dinners eating out, and, without realizing it at the time, developed an appreciation for the hospitality that came with a restaurant meal. Lyons went on to graduate from the University of Mississippi with a Bachelor’s degree in Business Administration, having double majored in finance and real estate. It was there in Oxford, Miss. that Kenny entered into the restaurant world, first at Bottletree Bakery as a server and then as a server and bar manager at L & M’s Kitchen and Salumeria. Realizing that both his business degrees and restaurant experience gave him the foundation for a career in hospitality, Lyons took on leadership roles with renowned restaurants across the South. Lyons gained further experience under chefs like Dan Latham in Oxford, and Bob Waggoner and Louis Osteen at Watermark in Nashville. While serving as Beverage Director and Front of House Manager at Watermark, he learned the importance of cultivating strong relationships with guests, local purveyors, and distributors, as well as the skills required to lead a restaurant team internally. Joining Husk Nashville and The Neighborhood Dining Group in 2013, Lyons helped Husk achieve national acclaim including GQ’s “Most Outstanding Restaurants” and Esquire’s “Best New Restaurants” in 2014. 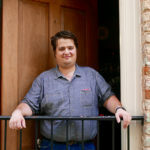 Lyons worked closely with his team to develop Husk Nashville’s acclaimed bourbon list and wine program before moving up the ranks of the Neighborhood Dining Group and relocating to Charleston. Now based in the Lowcountry, Lyons has his hand in all facets of the eight NDG restaurants around the Southeast. He works closely with both the business and creative sides of the company, conceptualizing new restaurants and improving the infrastructure and sustainability of the current restaurants and brands. In his free time, you can find Lyons on the golf course, expanding his bourbon and wine collection, and cheering on the Ole Miss Rebels. Born in Johnson City, TN, Regan Cannon developed a passion for the hospitality industry while attending East Tennessee State University. While working towards a Bachelors in Marketing Management and Business Administration, Cannon found himself voraciously reading cocktail books on the side, watching food and beverage documentaries and television shows, practicing new skills and honing his palate. Following graduation, Cannon decided to follow his passion for restaurants and relocated to Australia where he worked as a bartender at Bavarian in Broadbeach and later at Caz Reitop’s Dirty Secrets in Melbourne. Next, he moved to Asheville, NC, where he tended bar at both Imperial Life and Buxton Hall before joining the Husk Greenville team as Bar Manager. Cannon enjoys the constant challenge of growing and learning each day, which is what allows him to remain committed and passionate. Cannon is captivated by the desire to evolve Greenville’s hospitality scene to greater heights and develop an ever-changing and robust cocktail program at Husk Greenville. Crafting cocktails that evoke a sense of place and purpose is of particular interest to Cannon. Additionally, he enjoys utilizing complex techniques and marrying new flavors to create what Cannon calls “accidental brilliance” and sparking a nostalgic sense of remembrance. A steward of knowledge, Cannon enjoys sharing his beverage philosophy and learned techniques with his talented Husk Greenville team in order to educate and invigorate up and coming talent. When Cannon is not behind the bar, he enjoys being outside, cooking, and spending time with friends. In order to advance his knowledge, Cannon is currently studying in anticipation of a sommelier exam. 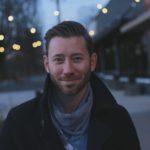 A Seattle native, Kevin King moved to Nashville, Tennessee when he was 21 years old in search of a new city and scene right. While immersing himself in the fast paced, hospitality focused Music City, King quickly found his passion for restaurants and tending bar. He landed a position as a server assistant, and eventually worked his way up the ladder, gaining experience and an arsenal of bartending techniques to begin to differentiate himself and his beverage philosophy. King joined the Neighborhood Dining Group in 2013, working as a bartender at Husk Nashville where he helped to create and elevate the bar program. King later moved to Charleston to assume the role of bar manager at newly opened McCrady’s Tavern. While at McCrady’s Tavern, King spent his time creating a new spirit list, cocktail list and a non-alcoholic pairing to provide a robust and varied beverage experience to diners. In late 2017, King assisted in the launch of Husk Greenville’s beverage program, including training staff, bar layout and creation of the spirits and cocktail list. Next, King assumed the role of Bar Manager in January 2018 at Husk Savannah, the newest outpost of Husk restaurants. King prides himself on using seasonal, in-house ingredients in order to craft balanced, multi-dimensional beverages, while continuing to push the limits in libation offerings at Husk Savannah. Always in search of new approaches and discovering distinct techniques utilizing carbonation, fermentation and distillation, King is eager to keep learning and evolving, both individually, as well as mentoring the larger Husk Savannah beverage team. King enjoys working alongside the kitchen staff as well, who provide him valuable and actionable feedback on flavor profiles to effectively compliment the kitchen’s savory dishes. When he is not behind the bar, King can be found reading about food and beverage and traveling to explore new bars and restaurants. Justin Simko has been tending bar at Husk in Charleston, SC for over 5 years. With an initial culinary interest, Simko attended the Culinary Institute of America in New York where he mastered the fundamentals of cooking. After graduating, he moved to Charleston, SC in 2011 where he accepted a front of house position at High Cotton. However, his interest in cooking began to wane, and in its place, Simko discovered a newfound interest in cocktails. In June 2012, Simko decided to test the waters of bartending and accepted a part-time bartending position at Husk. Drawing from his traditional culinary training & fine-tuned understanding of flavor profiles, Simko quickly learned the philosophy and art of creating the perfect cocktail. At Husk, Simko had finally found his true passion and rose through the ranks, eventually being named Bar Manager in 2017. 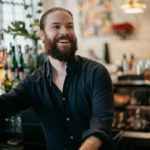 In his current role as Bar Manager, he is responsible for creating the beverage program for Husk restaurant & bar, product ordering, and educational training of fellow bartenders. Simko most enjoys the constant evolution in the bar industry, as well as creating unique and memorable experiences for each guest. His drink of choice is a Gin & Tonic on a hot summer day, and when he’s away from the bar, Simko enjoys fishing the shores of nearby Folly Beach with friends. 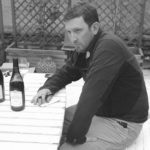 Frederick Corriher Wine is a small but dynamic French wine import company that works only with small growers and farmers…vignerons that grow their own grapes, work their own vines, and make authentic wine. Our owner and founder, Frederick Corriher, is committed to only importing wines that are made in an authentic fashion and that very much speak of their place…their terroir. Nothing manufactured or over-manipulated. Virtually all of the estates we represent are either certified organic (or biodynamic) or are in organic conversion. Frederick believes strongly that responsible treatment of the planet and its ecosystems is tantamount to sustainability and also that this method of vine-growing and wine-making makes the most authentic wine. He also feels that a grower that is committed to organic or biodynamic farming likely has the work ethic in the winery and commitment to excellence that is most attractive to him. By a large margin, Frederick turns away far more producers than he ultimately chooses to represent, all in an effort to only put his name on bottles of wine that truly speak to him. Dave Pramuk is one of the four founding partners of Robert Biale Vineyards, established 1991. At CSU Chico, he graduated in Developmental Psychology, and also studied Journalism and European Studies. An in depth wine appreciation class and subsequent travels across Europe changed his life. As an active ZAP (Zinfandel Advocates and Producers) supporter, he was responsible for the institution of the Zinfandel Flights event, and participates on various committees. As past President and Marketing Chair for the association known as P.S. I Love You, Dave helps advance the appreciation of another California heritage grape, Petite Sirah. 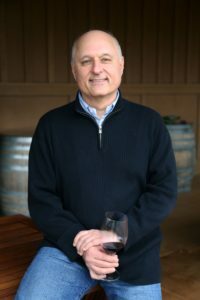 The Oak Knoll District of Napa Valley is Napa’s newest sub appellation and Dave contributes as a board member and marketing chair to advance education and promotion of the district. The 130 years old winery of Maison Saint AIX is situated in the south of France, just an hour north-east of Aix en Provence. In the rural area of Mont Sainte Victoire, the beautiful light inspired both Paul Cezanne and Vincent Van Gogh to create their most famous work. At this special place, the makers of AIX Rose are working year after year with similar inspiration to create the wonderful AIX Rose. AIX Rose finds it’s origin on about 75Ha (200 acres) situated on a plateau at an altitude of 400 meters above sea level. With over 300 days of sunlight per year and cooler nights the grapes allow for optimal maturation. South western exposure and the common Mistral wind makes a perfect protection for the vines, drying them after rain or dew. All things considered, Maison Saint AIX has the perfect conditions to grow Grenache, Cinsault, Syrah and Counoise, the grape varieties for a leading rose from Provence. Maintenance of the vineyard is crucial for the quality of the wine. Recently, an extensive replanting program was initiated by planting 4 hectares of Grenache. Over the next few years many hectares will be replanted, mainly with Grenache en Syrah vines. Furthermore, new temperature-controlled stainless steel tanks and pneumatic presses were recently installed, applying the latest wine processing technology to continuously control and improve the quality of AIX Rose. For five decades, the Chappellet family has been crafting world-class wines from fruit cultivated on the steep, rocky slopes of Napa Valley’s renowned Pritchard Hill. As one of the first wineries to pioneer high-elevation hillside planting, and one of the few remaining great family-owned Napa Valley wineries, Chappellet Vineyard has influenced generations of vintners. Throughout its history, Chappellet has also established an enduring legacy as one of California’s most acclaimed producers of Cabernet Sauvignon. The Chappellets’ romance with Pritchard Hill began when Donn and Molly Chappellet first glimpsed the mountain’s spectacular vistas in the late 1960s. Inspired by the notion that Bacchus loves the hills, Donn and Molly followed the advice of legendary winemaker André Tchelistcheff and settled on the rocky eastern slopes of the Napa Valley. There, on the mountain’s serene and picturesque hillsides, the Chappellets established their home and winery, raising their children and cultivating the vineyards. Since being founded by Donn and Molly in 1967, Chappellet has earned acclaim championing the robust power and complexity of wines crafted from mountain grapes. At the same time, Chappellet has helped to establish Pritchard Hill as one of California’s most revered winegrowing sites. To honor the mountain’s rich, expressive character, the winemaking team focuses on creating extraordinary, ageworthy Cabernet Sauvignons that embody the intensity and finesse of fruit from Pritchard Hill. Today, a second generation of the Chappellet family has embraced their parents’ love of the mountain’s inviting spirit and exceptional vineyards. Led by Cyril, Carissa and Dominic Chappellet, who oversee the day-to-day operations of the winery, this new generation also includes Lygia, Alexa and Jon-Mark Chappellet, who are active board members dedicated to building upon Chappellet’s reputation for excellence. Equally important, this second generation is passionate about preserving the land by continuing Donn and Molly’s intimate approach to winegrowing. In order to ensure the health and wellbeing of Pritchard Hill for generations to come, the Chappellet family meticulously cultivates their estate vineyards using hands-on organic farming techniques, with a constant eye towards quality. In addition to the dedicated second generation of the family, which has joined Molly in contributing to the ongoing success of Chappellet, the winery benefits from a talented team, which includes gifted winemaker Phillip Corallo-Titus and vineyard manager Dave Pirio—each of whom possesses decades of experience working at Chappellet. Applying their wealth of knowledge, and their comprehensive understanding of the estate’s 34 distinctive vineyard blocks, the Chappellet team handcrafts extraordinary wines thatshowcase the authentic charm and personality of Pritchard Hill. Though focused on crafting limited quantities of benchmark Cabernet Sauvignon for five decades, the Chappellet portfolio also includes exceptional Chardonnay, Chenin Blanc, Merlot and Cabernet Franc. While consistently setting the standard for mountain-grown wines, Chappellet has earned high praise from critics and a devoted following from many of the world’s premier collectors. At Chateau Ste. Michelle, our award-winning wines interweave with our rich heritage to create a wine experience you’ll never forget. “Great wine can only come from Italy or California”, or at least that was the misconception the Chateau’s founding fathers set out to prove wrong when they first broke ground years ago and pioneered the Washington wine region. Built on the 1912 estate owned by Seattle lumber baron Frederick Stimson, the winery’s roots date back to the Repeal of Prohibition. In 1967 under legendary winemaker Andre Tchelistcheff, a new line of premium vinifera wines was introduced called Ste. Michelle Vintners. The first vines were planted at Cold Creek Vineyard in Eastern Washington in 1972. Four years later, Ste. Michelle Vintners built a French style winery Chateau in Woodinville, and changed its name to Chateau Ste. Michelle. Canoe Ridge Estate Vineyard planted in 1991. Since then, we have combined Old World winemaking traditions with New World innovation. In fact, Chateau Ste. Michelle is one of the few premium wineries in the world with two state-of-the-art wineries, one for red and one for white. The whites are made at the Chateau in Woodinville, WA, while the reds are made at our Canoe Ridge Estate winery in Eastern Washington. Today, the winery’s seven estate vineyards are located in alluvial fans of the Napa Valley and on the coveted slopes of Howell Mountain. The shallow and rocky alluvial soil drains easily, forcing the vines to send roots deep in search of water. The rocks retain the day’s heat, bringing relief to the vines during cold spring mornings and foggy summer nights. Because of its topography, soils, and climate, Howell Mountain has distinctly different grapegrowing conditions than the valley floor. Often during summer months, the maritime fog seeping into the Napa Valley below will not reach the mountaintop, giving Howell Mountain more sunlight and moderate temperatures. As a result, winemaker Renee Ary has numerous vineyard blocks to choose from, each offering markedly different flavor profiles. Dedicated to making classic wines that reflect the unique character and quality of the vineyards, Renee strives to understand the needs and opportunities presented by each specific terroir and microclimate. By approaching each vineyard block individually, Renee’s goal is to harvest when the flavors have reached their peak and the tannins are at their softest. Grapes are hand-picked and hand-sorted prior to crushing. In addition, the winery is able to pick the grapes in a timelier manner, even harvesting some vineyard sites several times, selecting only the ripe fruit with each pass through the vineyard. Through estate ownership, Duckhorn Vineyards enjoys greater control over both yields and crop quality. In the winery, Renee applies an artisan’s approach to winemaking, blending from almost 200 distinctive lots using taste and instinct, not formula. Wines are barrel-aged separately by vineyard lot, utilizing an extensive barrel program that sources 25 different types of oak from 13 separate cooperages. The majority of the barrels are made from French oak in the Bordeaux Chateau style. These barrels breathe easier, encouraging the wines to develop. Duckhorn also employs many water-bent barrels, a process which removes harsh tannins from the wood, bringing about toasty, caramelized flavors. The resulting wines combine accents from a comprehensive barrel program with grapes from diverse smaller appellations within the broader Napa Valley, including Howell Mountain, Carneros, Yountville, Rutherford and St. Helena. For nearly three decades, the commitment to crafting wines of distinction has remained at the heart of the Duckhorn Vineyards philosophy. As its Napa Valley estate properties continue to mature under Renee’s stewardship, the winery will continue creating world-class wines from exceptional vineyards. Elizabeth Spencer Winery is built on the importance of strong relationships–starting with our proprietor’s own dynamic personal and professional bond and extending outward to our important network of growers, our talented team of employees, and, ultimately to our customers. Elizabeth Spencer Winery is the realization of a dream by husband and wife team of Spencer Graham and Elizabeth Pressler. Our debut wine was 1998 Napa Valley Cabernet Sauvignon and we have made that wine every year since. Working with prestigious vineyard growers, we have farmed and produced a multitude of wines from every AVA in Napa Valley. Spencer’s undying curiosity for all things viticultural led him outward and beyond the Napa Valley and into the excellent neighboring regions. Today, we’ve cultivated relationships with a small handful of outstanding and experienced growers in Sonoma and Mendocino now provide inspired fruit for a clutch of vividly fresh and endearingly delicious wines. We cemented our presence in the heart of the Napa Valley in 2006 with the opening of our tasting room in Rutherford, CA. The historic, 1872 brick Post Office building serves as our tasting room and we are proud to serve as stewards of this piece of Napa Valley history. My wife, Nicki, and I came up with the name Grassroots for a Southern-themed restaurant idea we had in Sandpoint, Idaho. The restaurant never happened, but a few years later, we did open up Riverside Wine and Spirits in Chattanooga, Tennessee. Riverside quickly became the place for wine in Chattanooga, and after we sold our half to our partner in 2003, Nicki and I used our wine connections from the store to start Grassroots Wholesale and Imports in Birmingham, Alabama. A year later we opened another branch in South Carolina. Our portfolio is filled with small, family-owned producers that over-deliver in value at every price point. Likewise, most of our customers are small, family-owned restaurants and stores who appreciate the value of supporting locally owned businesses and want to bring their customers the highest quality wines available. Today, the Grassroots family employs more than 30 people in Alabama and South Carolina. We happily support more than 30 charitable events in our states. We are extremely proud of our people, our products, and our communities. In addition to the Quintessa estate, Agustin’s current vineyard and winery projects include Faust Napa Valley Cabernet Sauvignon and Illumination Napa Valley Sauvignon Blanc. In 2009, the Huneeus family forged a partnership with Joan and Walt Flowers of Flowers Vineyards & Winery, pioneering vintners who in 1989, established two extraordinary vineyards dedicated to world-class Chardonnay and Pinot Noir in the extreme Sonoma Coast. Their son Agustin F. Huneeus has worked in the family business for more than 20 years and extends the family tradition as head of the wine portfolio in the US and abroad. Our portfolio currently includes: La Spinetta, Contratto, BiancaVigna, Rocca del Principe, Malvirà, E. Pira by Chiara Boschis, Cocito, Cottanera, VKA Vodka, Tenuta Santa Maria, and Ciacci Piccolomini d’Aragona. From this great foundation of historical, pioneering wineries in France and California, Jean-Charles’ sets forth a vision of the wine world centered on family, passion, history, innovation, a commitment to fine wines, and a dedication to sustainable winegrowing. Decanter magazine has included him on its “Power List” of the fifty most important people in the wine world each year of its publication since 2007; in March 2008, he received the Meininger’s International Wine Entrepreneur of the Year; and in December 2008, he was named “Innovator of the Year” by Wine Enthusiast Magazine. The French America Foundation awarded him their first-ever French-American Partnership Award in 2013, bestowed upon an extraordinary individual or organization that has contributed to creating a strong and enduring French-American partnership in business, government, or academia. McCarus Beverage Co. was founded by brothers David and Matt McCarus, the strength of this bond is the backbone of everything we do. We are focused on sharing the love, trust, loyalty and respect held between brothers with each of our producers, as we understand that these same attributes are necessary when farming the land, growing the grapes and making wine. Beyond distribution, we team up with some of South Carolina’s best restaurants and chefs hosting wine dinners and events, allowing us to spread our enthusiasm with as many people as possible around the same comforting setting where we spent most of our time growing up, the dinner table. RSV is a second generation, family-owned and operated vineyard and winery. Every vine for every wine was planted by RSV and every vineyard is certified* organic. One could say that RSV is beyond organic. Since 1991, RSV has been practicing the “whole farm” philosophy of interrelationships based on Rudolph Steiner’s 1928 lecture “Agriculture.” This approach stresses the need to heal damage done by modern, mechanized farming – tapping into the rhythms of nature, encouraging natural processes, to grow superior winegrapes that require little but care to craft into expressive, vibrant and living wines. RSV approaches the cellar as purists (with the same winemaker, Jeff Virnig, for over twenty-five years) to craft wines that are true and pure. The guiding principle that “wine is not an athletic event” has allowed the wines of RSV to stay true to vineyard and variety. Elegance over brawn has always been the house style and RSV does not submit wine for review by score-centric critics; because to taste wine in a competitive atmosphere, without food on the table, encourages wines that shout, ignoring subtle wines of balance, finesse and elegance… the attributes that define the fine wines of RSV. The Row Eleven Wine Company was founded in 2004 in California by well-known winemaker Richard de los Reyes and veteran entrepreneur and private investor Ken Conner. From the start, Row Eleven has had the advantage of knowing where the best soils and vineyards are for growing Pinot Noir grapes. We waited seventeen years before we started, using that time to study other winemakers’ successes and failures. We learned the best techniques for every vineyard. Row Eleven’s philosophy is that fresh grapes make better wine. So, Row Eleven crushes its grapes within 30 minutes of harvesting – every time. The result? Delicious wine. Row Eleven practices classical style winemaking with a modern twist to produce multi-dimensional wines. Row Eleven’s specialty? Pinot Noir – one of the hardest wines to make as it comes from the most tempestuous grapes. “One minute the wine is beautiful and open and the next moody and closed”, says Richard, “You hold your breath when you release these wines to the world. But when everything is wright, they are in a world all their own”. Vineyard Brands was founded in 1971 by Robert Haas. Bob began his career in 1950 working as the import buyer for M. Lehmann, his family’s wine shop in New York City which would later become Sherry Lehmann. As Bob became more interested in the import wine business and less interested in the retail business, he began importing and selling wine in markets other than New York through Leeds Imports Corporation, a wine import company started by Bob and his father. In 1967, Bobs father retired from the wine business and Leeds Imports Corporation was sold. In 1971, Bob moved to Vermont and founded Vineyard Brands with 2 employees. The companys office was located in a remodeled barn on the Haas family farm in Chester, VT until 1997 when the company moved its headquarters to Birmingham, AL. In the 1980s, Bob began to explore ways to fulfill a life-long dream to start his own winery, which would mean leaving Vineyard Brands. Bob ultimately decided to create an employee stock ownership plan to allow the employees of Vineyard Brands to purchase the business from him to allow him to start his winery, Tablas Creek Vineyard. In the late 1990s, when the ESOP completed its purchase of the business from Bob, he fully exited from Vineyard Brands. Today, Vineyard Brands has over 65 employees located throughout the United States and 2 offices, one in Birmingham and the other in NYC. Our headquarters remains in Birmingham, where we have approximately 25 employees who handle all shipping, accounting and compliance activities and the production of all promotional materials and advertising for Vineyard Brands. Our office in NYC is a sales and marketing office. Despite our relatively small size, we have a truly national distribution network that extends to all 50 states, the District of Columbia and Puerto Rico. Our sales force, which consists of over 40 people, is divided into 8 regions, each of which is overseen by a regional manager. Recognizing the diversity of our various markets and in order to foster our entrepreneurial spirit, we give our regional managers and sales representatives a great deal of autonomy in managing their territories and markets. Built on the same foundation upon which the company was founded, our mission remains the same – to select and offer wines of the best quality and value from the greatest places on Earth so that there is absolute confidence in any wine with “Imported by Vineyard Brands” on the label. This is not just a story of wine, this is a story about family. Founded in 1978 by Yale Sager, Winesellers, Ltd. began as a one-man operation importing and selling wines primarily in the Midwest. Over the last four decades, Winesellers, Ltd. has evolved into a globally recognized importer and marketer of family-owned wineries and brands produced in both well-known and unique regions from around the world. The Sager family is proud of their enduring relationships with their wholesalers and suppliers, some whom have been a part of Winesellers portfolio from the very beginning.